Rupes Recta, or the Straight Wall, is a rille (a ridge or cliff) on the southeast shore of Mare Nubium. This one takes a more powerful telescope to see well. 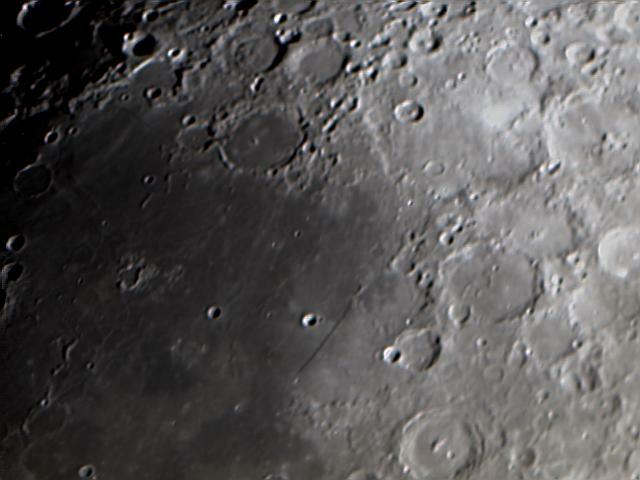 Visually it looks just like a straight pencil mark on the surface of the moon. This image is out of focus... I really need to shoot this again.